If you have been denied disability, don’t get discouraged. The Miller Law Firm can help you when applying for reconsideration or appeal. Consultation with The Miller Law Firm is free, and we help you fill out the necessary forms to keep the process moving. We know that filling out the forms and keeping up with each step to take can be overwhelming but you can take comfort in knowing that the difficult part will be handled for you by us. Call us today on 901-327-3434 to schedule an appointment. 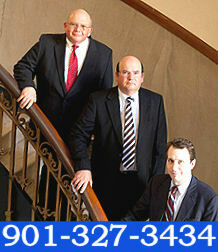 Contact The Miller Law Firm today, we can help.